Yet, by the time you get there, the intensity has waned. Lucia still stands apart, but Kumar is no David Fincher, and Nikki, no Tyler Durden. With `Lucia`, Indian regional films have touched a milestone. 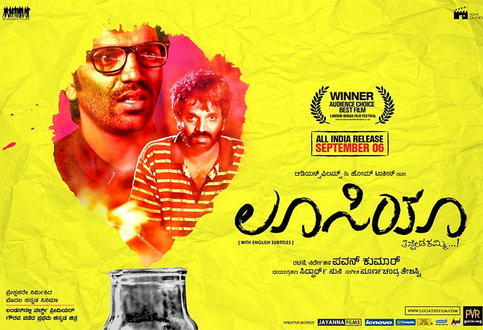 A crowdfunded project released under the PVR Director`s Rare Banner, this Kannada film is radical in its approach. Director Pawan Kumar is no doubt intelligent in his work. In his second film he has gone far beyond his first film 'Lifu Ishtene' and puts the audience in confusion.